Looking to up your formal shoe game but bored of the regular brogue? Why not opt for a monk shoe, a double monk shoe specifically. 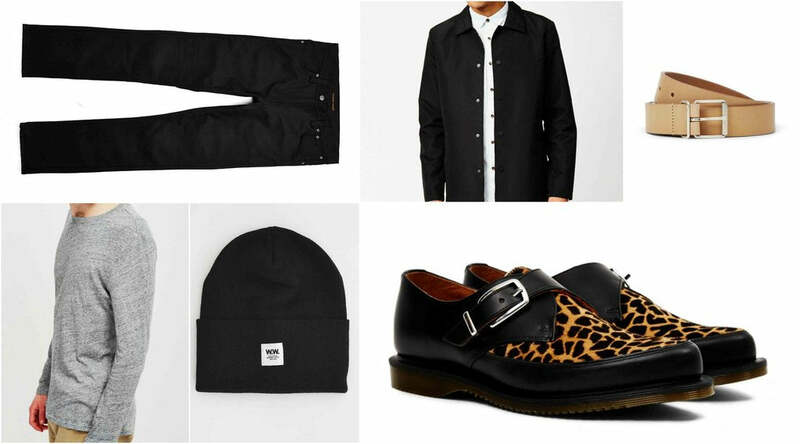 Here's how to style yours. 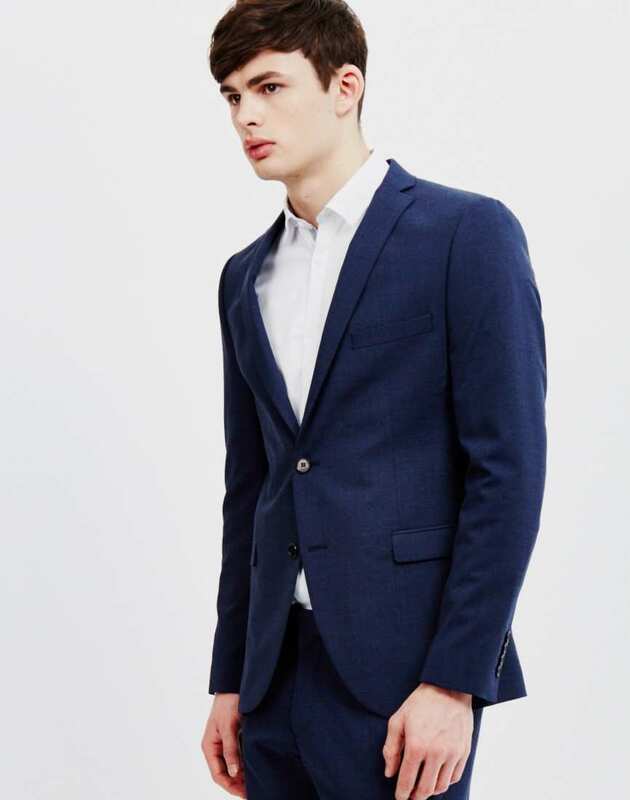 Read more Men’s Style Guide features. Have you ever heard of double monk strap shoes? They're about to change your shoe rack forever. They will smarten up your jeans and dress down your trousers! We're here for you brother! This monk strap shoe bible will breakdown types of monk strap shoe and what to wear them with. Along with some expert tips, so you've got all the info you need to put your best foot forward. 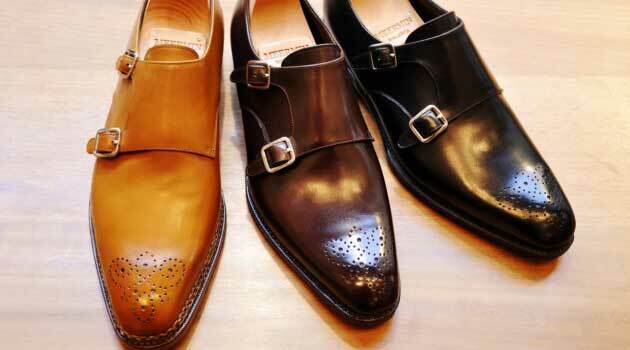 It can be hard to choose with so many kinds of single and double monk strap shoes on the market. We've whittled it down into easy sections, so you can choose which side to back in this fight of the footwear! At the first bell, you can decide if you wanna keep shoes classically simple or pick unique twists. It may seem like a small choice but it has a big impact in the overall look, single straps are a little more laid back than the double. The single strap has more flexibility in the way it's cut: the straps thickness, size of the cutout or the angle that it sits at. 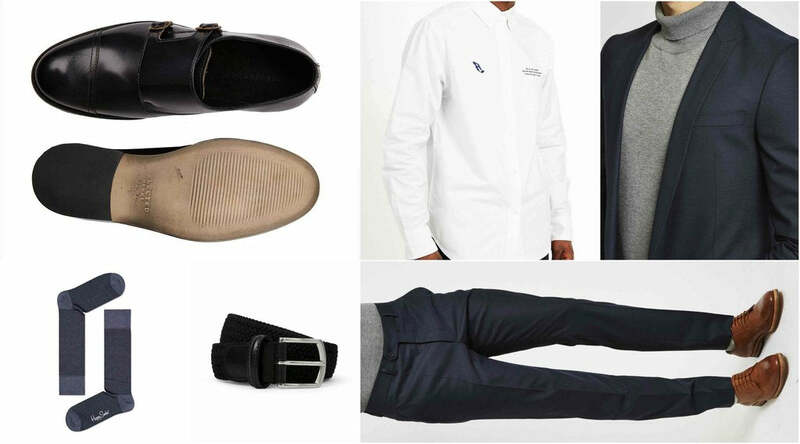 Having dress shoes with buckles leaves room for more creative textures, patterns or colours (electric blue is gaining plenty of praise) - without it being too fussy. Don't forget about the double monk strap, it oozes gentlemanly charm. Particularly in classic colour ways with stitching or brogue marking. 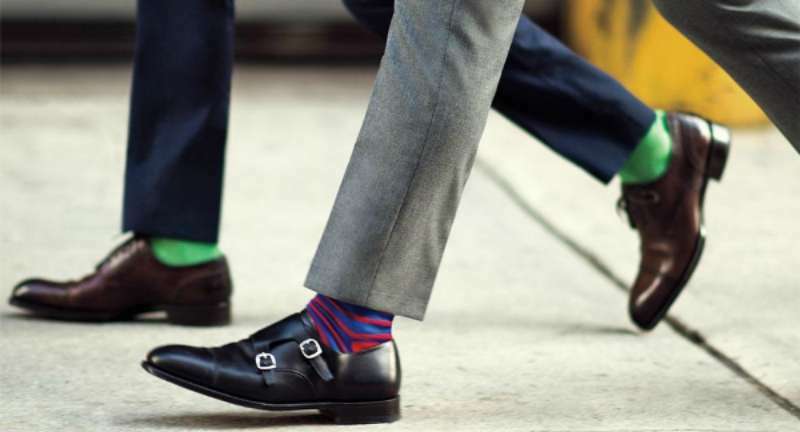 For a cheeky signature look, leave the top or bottom of your double monk straps unbuckled. A subtle change in shade can really make or break an outfit. Picking a light tan gives your double monk strap shoes a Summery and relaxed feel. Sweet chestnut brown is always a winner with dark jeans and suits, it looks cracking when teamed with a matching belt. Rich brown toned accessories finish formal looks well, matching them to a monk strap means you'll look top notch. Its good to mix things up with a lighter hue, you'll be able to wear your monk strap shoes with far more of your wardrobe. Picking up a matching tan belt and watch strap instantly spruces up smart Summer wear and lighter suits. Are you looking to add a classic shoe to your collection, to wear with your current and future wardrobe? Or are you looking for something to shake things up? It's well worth giving a strong hue or pattern a whirl. 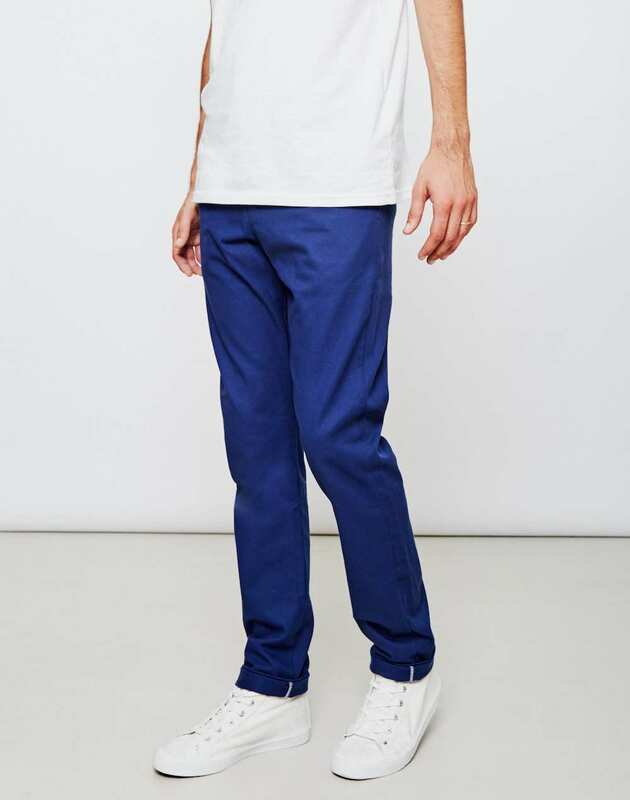 There's so many that can add a pop of colour to your usual slim jeans and white tee look. A well kept black shoe will keep its worth for a long long time, good for most of the year and most of your wardrobe. If you've just dipped your toe into the world of proper shoes, this is a great choice. Particularly if you want to be sure it'll be worn plenty before you commit to modern twists. For you guys that like to wear boots, don't worry! There are plenty of monk strap boots too, so you won't be missing out on this look. It's worth thinking about the trouser that you're wearing these with to see if a boot would be best. Don't doubt their ability to shake things up whilst staying smart. King of cool Daniel Craig rocked the Camberley Black Calf Double Boot by Crockett & Jones in Spectre. 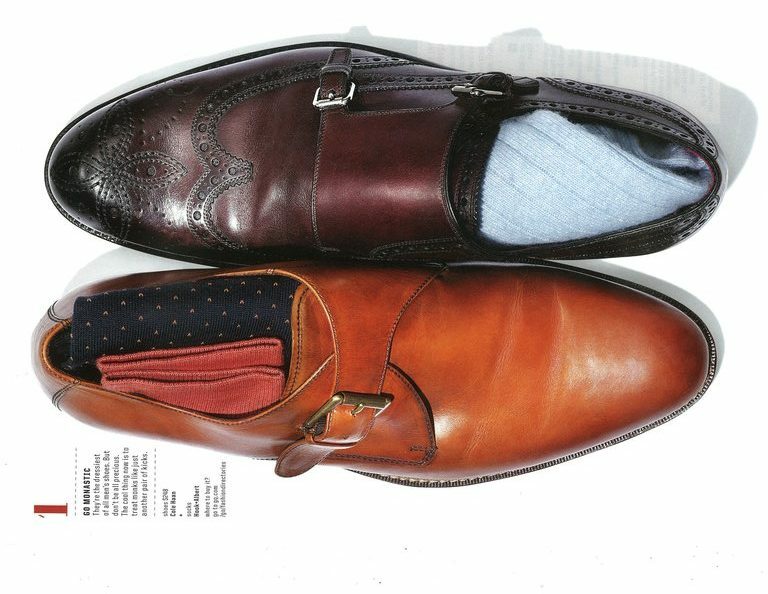 Crockett & Jones are certainly experts in matters of the monk strap. They've been family managed for five generations, supplying classic shoe styles for over 135 years. We have a full range of single and double buckle styles available that range from more formal (Monkton and Lowndes in Burnished Calf and Seymour and Winston in Antiqued Calf) to the more ‘trendy’ casual or weekend wear (Harrogate in Scotch Grain. Ebury, a spectator Monk in Canvas and Calf and Lowndes in Suede). - James Fox, Marketing Manager at Crockett & Jones Sometimes events like black tie, call for monk strap dress shoes to keep you looking suave. Rather than choosing a classic lace up style with your suit, a dress shoe with buckles can add that extra style to an outfit. Buckle up and steal the show by simply changing your shoe choice! The material of the shoe is just as important as the cut and colour when nailing a look. Suede and leather are suited to different conditions and upkeep, with the right care they're both sturdy enough to last for years. Leather is the stiffer of the two and able to cope with more spills before it spoils. If there's any chance you're going to be outside, then give the suede a miss. You need something that'll wipe clean. Stick with leather so those raindrops roll off. Leather will always be a go-to for formal occasions whether you're wearing them to a bar or for business. A good leather shoe will grow old with you. Suede gives flexibility in fit and fashion, the softer texture means you've got more wriggle room in the toes! Feel free to pair the suede monk strap shoe with everyday clobber. They are the solution to the age old question of "can you wear black dress shoes with jeans?". You can with the black suede monkstrap shoe. The loafer will always be the laid back uncle of the shoe family, with its simple slip on style, adding a buckle gives extra oomph. A good choice for those traveling and on the go, it can be slipped on and off without messing about with laces. Whether you need a quick change from the gym or to after work drinks. 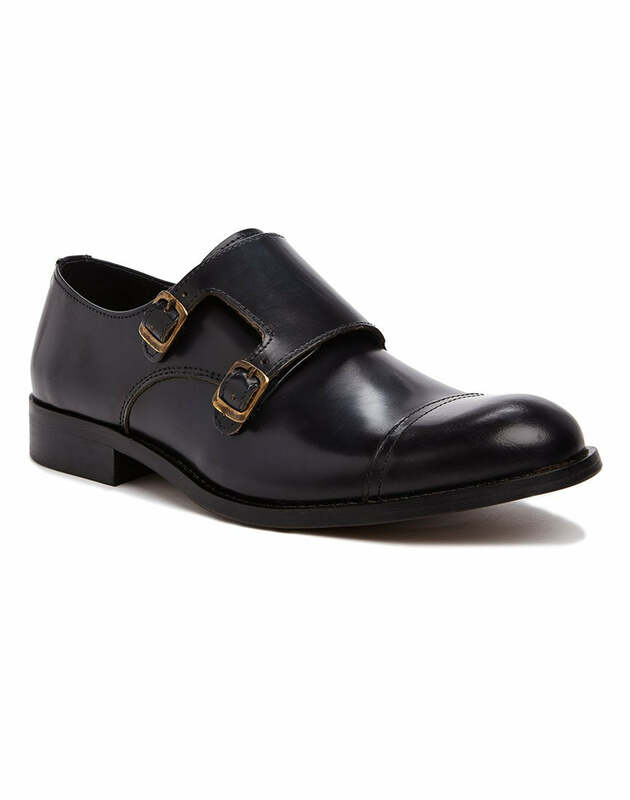 This Cole Haan Double Monk Strap Loafer, is a good looking blend of low key and smart. The lighter hue gives a bit more flexibility to what you can wear it with. It won't look out of place with some straight jeans or chinos. These Monk Strap Oxford Shoes really pack a punch, with the brogue detailing and a hand-burnished wingtip. For fellas that are stuck in a style rut when picking shoes, this keeps the beloved hole details and classic shape. But still sets itself apart from your usual lace ups. 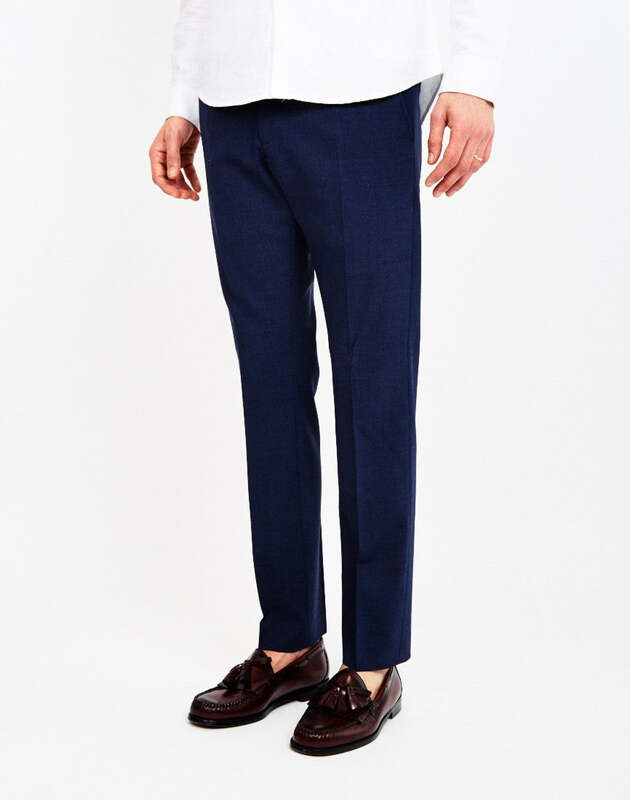 These are best worn with dark jeans or slim trousers, black monk strap shoes with light jeans say Dad at a work BBQ. 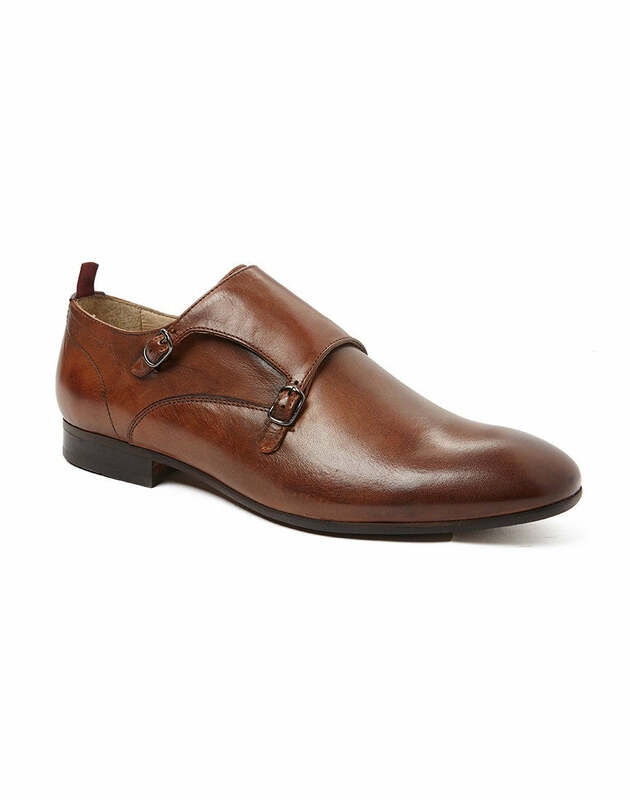 Monk strap shoes are a great piece to have for everyday use when brogues and trainers won't do. Simple yet slick, they are a fantastic addition to have on the rack. Can you wear black dress shoes with jeans? Yes! 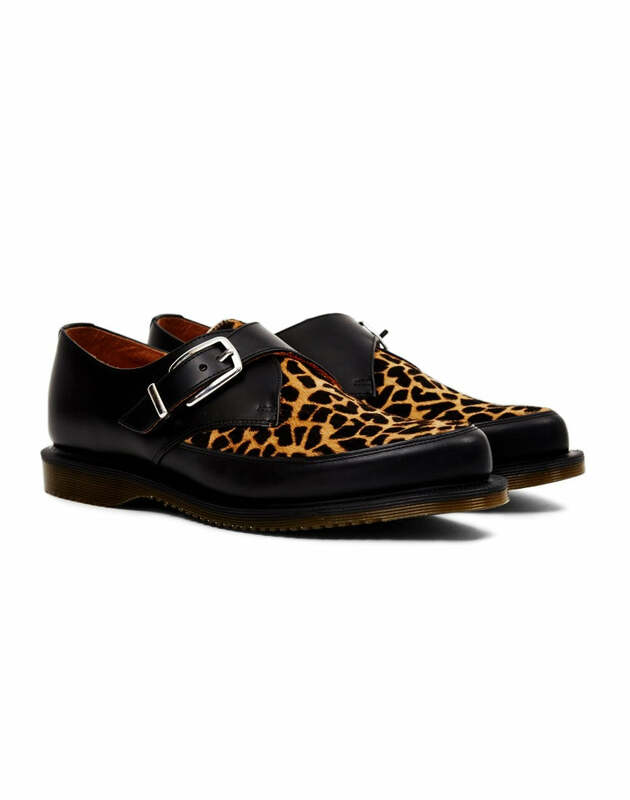 A pair of printed shoes should bring out your inner Sid Vicious. With their retro punk print and signature bouncing sole, you're sure to bring a bit of dapper to that mosh pit. Keep it simple with high quality staples. Choose black jeans, grey or white tops and a dark jacket if you like to be gig ready. If you prefer things fresh and light, look for sportier or nautical pieces. Such as a simple varsity jacket or a breton striped top. Try classic chinos and a navy blue cardigan over a white dress shirt with either brown or oxblood Monk Straps. It sounds so simple but looks so sharp. Or if you’re into the preppy look, try a grey V-neck sweater over an Oxford shirt and a pair of blue slacks or dark jeans with your oxblood Monk Straps. Picking clothes for work is very different to dressing for a smart do. It's worth being clued up ahead of time, to be sure you look your best. Not all suits have to be finished with Oxford's or Brogues, a polished pair of monk strap shoes with a suit can add a fresh twist to your formal look. A black pair could be just what’s needed to spruce up your tired suits and trousers. Treating yourself to new shoes and a belt, can breathe life into the stuff that's gathering dust. 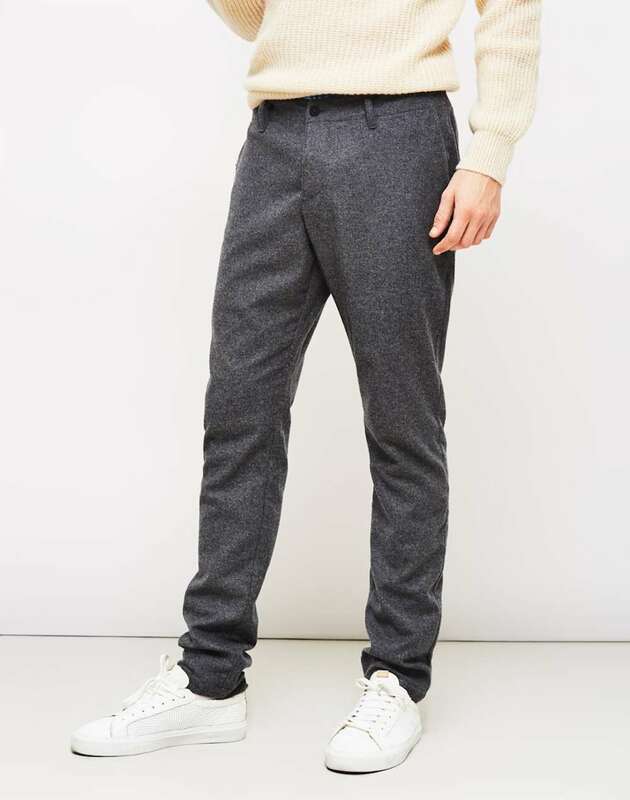 Break out the unworn fitted trousers and knitwear. Once you've got new shoes they'll be ready to rock again! If you’re wearing a black suit, only wear black double monk straps to stay in line with formality. For navy, charcoal and grey suits, brown double monk straps look good while the oxblood colour can elevate these suits to create a distinctive and stylish look. If you want a fail safe pair, try some brown suede monk strap shoes with a single strap. The chocolate shade is easy to wear with other items and the suede stops it looking too formal. It's good to start with a single strap style and see how you can get on. You never know the next pair you get may have three! Here's some shoe care tips from the best to keep your shoes mean and clean, as if they'd walked right out of the cobblers. Take your monk strap shoes on and off without needing to buckle and unbuckle it, as this will reduce strain and visible wear on the strap. Invest in a shoehorn to make them quick to slip on.